The 20th Century Limited ran for 65 years between New York’s Grand Central Terminal and Chicago. 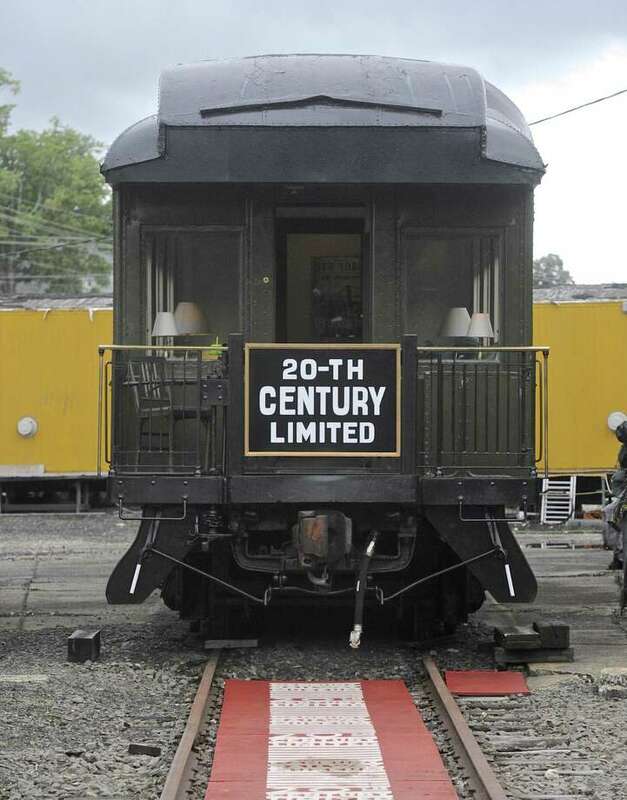 The Danbury Rail Museum has restored one of its cars. The 20th Century Limited was arguably the most famous train in American history, running between Grand Central Terminal and Chicago, offering the finest in accommodations and services for 65 years. The first of these trains ran in 1902, making the journey in 20 hours, four hours faster than before. By 1905, the running time was reduced to 18 hours. The operator, New York Central Railroad, offered each passenger $1 per hour for any delays because it was so confident in its on-time performance. That was when a one-way fare was about $50 for a sleeping section. The train was like a land cruise, complete with two cars of dining, an observation lounge and bar, a valet, barber and even a secretary who could take dictation. At its peak in 1928, the 20th Century was the most profitable train in the world, bringing in $10 million a year. Every night, the train ran as many as seven sections each outfitted with the same equipment and staff. By the end of the decade, departure was pushed back to 5:30 p.m. as passengers boarded from a red carpet rolled out each evening on the GCT platform. All of the premium compartments and bedrooms were arranged to face the Hudson River so passengers could enjoy the view. The powerful Hudson class of locomotives pulled the 18-car train at a steady 90 mph. To save time in refueling, it even took on water for its steam boilers running at speed using a pan-and-scoop system built in the middle of the tracks, still visible today south of Albany. Billed as “the water level route,” the NY Central competed well against its rival, The Pennsylvania Railroad’s Broadway Limited. Travel times were similar, but the Century promised a smoother ride compared to the Pennsy, which crossed the Allegheny Mountains. In 1939, the Century received a major makeover by Henry Dreyfuss, a theatrical designer who moved into industrial design. Dreyfuss went on to bring streamlined design to vacuum cleaners, telephones and dozens of household items. His remake of the Century included everything from car interiors to dinnerware. Service continued during World War II and another redesign in 1948 saw steam locomotives replaced with diesels. The NY Central ordered 500 new cars and its flagship train offered such innovations as fluorescent lighting and an on-board shower. But increased competition by airliners ate into the train’s profits. A three-hour flight between New York and Chicago required a crew of six. But a 16-hour train ride on the Century had a crew of 50 and the engineers changed shifts every 100 miles and received a day’s pay. This was an expensive train to operate. By the mid-1950s, the train lost its mail and express cars — and more passengers and revenue — while the New York Thruway was constructed. On Dec. 2, 1967, the once glorious Century made its last run from Grand Central, only half-full and almost 10 hours late into Chicago. Amtrak now offers a similar run, The Lakeshore Limited, which completes the journey in 19 hours — and it’s usually late. It has sleeping cars and coaches, but the dining car no longer serves hot food, only a boxed lunch.